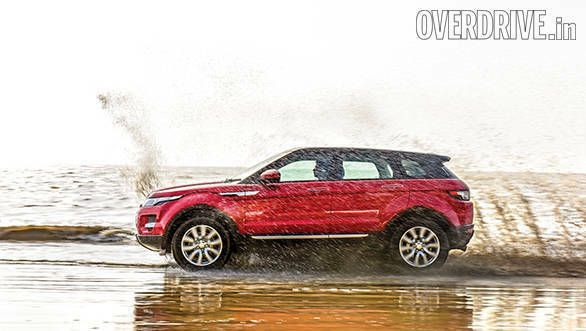 JLR India recently announced a new pricing strategy for the Range Rover Evoque. This comes in the wake of a new CKD structure for the Evoque, which essentially means lesser duties accrued and the benefits of which have been passed on to customers. The Range Rover Evoque now finally sits at a price point that's far more affordable than ever before. While it once sat at a position that attracted very few takers, the Evoque now comes in direct contention against SUVs such as the Audi Q5 and BMW X3, both of which are similarly specced and priced. To find out if the Evoque provides better value now that the prices have dropped, we compared it to these other SUVs to see how it fares. It's clear that the Range Rover Evoque is definitely the standout SUV in this trio. It's got the most aggression and dynamism in its design, a raw beauty making it far more appealing than either the Q5 or the X3. Even three years after the Evoque was launched globally it continues to carry the mantle of best design in its class or otherwise. Its most overpowering design highlight is its face and the coupe-like silhouette. The front end kicked of a whole new design language within Range Rover, dominated by elements such as the slim honeycomb grille, slim headlamps and a huge bumper. It's a very busy front end but there is a remarkable cohesion in that language that makes it look appealing. Another appealing aspect is its stance, the footprint it sits on gives it the appearance of being a wide vehicle with the length to match. It's also got the right amount of clearance to complement that footprint. Neither does it look like it's sitting too tall nor do the dimensions look ungainly. The slim windows are not a very practical solution I admit, but they do enhance the coupe-like roofline bringing it closer to the shoulder line. The narrow glass area continues at the rear with a tiny and narrow rear windshield accentuated by a large hatch, spoiler, slim tail lamps and a large diffuser. All that surface tension and strength clearly is a big draw when it comes to the looks department. In comparison neither the Q5 nor the X3 manage to hold the same appeal. The Q5, however, does have a very imposing stance, lots of chrome and an in your face goatee to grab attention. This design language, however, is set to change and the design language of the new Q7 will be carried forward to the Q5 in the next couple of years. This obviously means it will lose some of the girth around its waist and get sharper and leaner in the future. In the images it also appears less imposing than the Evoque, though in reality the Q5 and the X3 are both longer and taller though not wider than the Evoque. The X3 is the least interesting to look at. All those surface lines have softened up the sharp angular creases of earlier generations but it now appears a bit jaded in this company. A mild refresh recently did nothing to spice up its looks and it's the most docile looking SUV in this bunch. 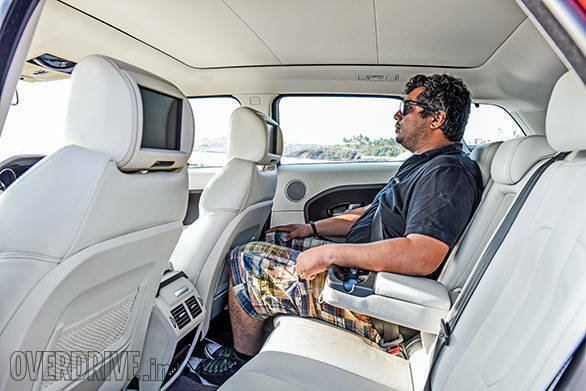 Again the Range Rover Evoque scores very high marks for a very premium cabin. The fit and finish, the quality of the materials used, the layers and tones, the touch and feel, it's all very premium. It's also got the best seats here, firmly cushioned and very supportive and well bolstered. 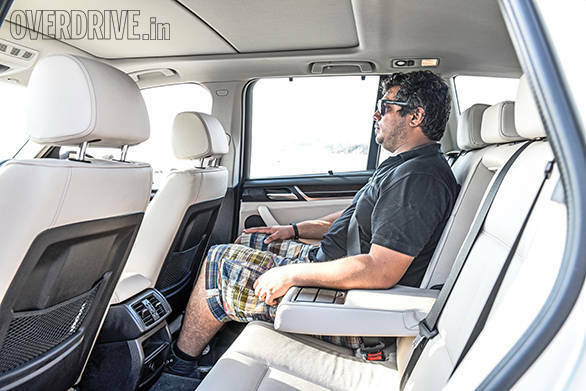 The Evoque undoubtedly has a stunning cabin though for sheer practicality, it's sorely lacking. It does not, for instance, mimic the minimalist nature of the new Range Rover - keep in mind the Evoque was developed before the new Range Rover. Then there is also the question about space. Despite the width which is great for shoulder room, inside the Evoque, there isn't much knee room or head room for passengers at the rear. The high window sill and narrow glass areas further add to the sense of compactness and that is something you just don't want in a vehicle this premium. 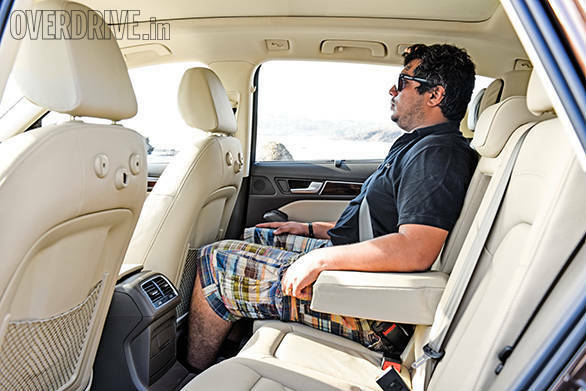 Not when your competitor, the Audi Q5 feels as spacious as Lodhi Gardens. The Q5 may not feel too stylish on the inside but what it loses in flashy design it makes up with practicality and space. You don't lose any of the opulence, this is still a very premium cabin without being overbearing. Deep cushioned yet supportive seats, precise shut lines, generous amounts of aluminium and chrome detailing and an intuitively laid out dashboard are its hallmarks. This is an understated yet elegant cabin with enough interior space (both headroom and knee room) for all passengers. The X3 is also spacious but quality and feel is nowhere in the same league as the Audi Q5 and nowhere near close to the Evoque. It's also a bit jaded in look and feel but it's a spacious and roomy cabin, though offering slightly lesser room than the Q5. Each SUV here offers full time four-wheel drive. However, of these the Range Rover Evoque is the most capable if you had to go off-road. The Q5 and X3's all-wheel drive systems work more towards providing better dynamic abilities. They will indulge in some mild off-road work but avoid tricky situations. The Evoque once again scores the highest marks for its handling package. The suspension feels firm and the steering system is direct and heavy enough to give you an immense amount of confidence in her abilities. 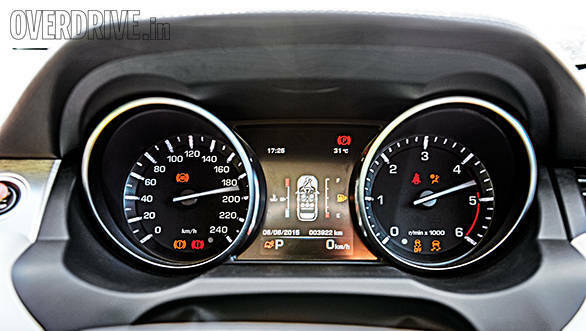 Dial in that wide track and stance and what you have is a sharp and precisely handling SUV. Given a good set of roads, the Evoque delivers a lot of fun. 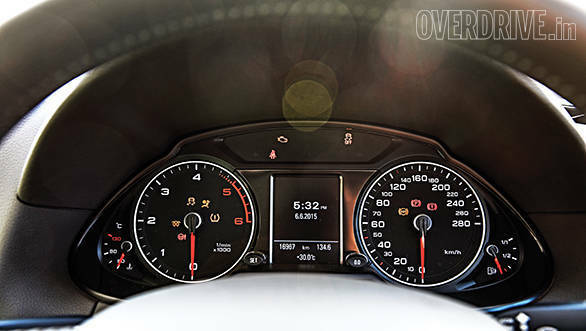 Coming in a close second in the stakes for handling is the Audi Q5. In fact I'd say the Q5 approaches corners in a slightly different manner but it's just as confident as the Evoque. It's got a firm suspension setup, but unlike the Evoque which feels almost flat through every corner, the Q5 has a bit of body roll. The power- assisted steering is light and very convenient for urban conditions, but take it out of the city and you wish it had a bit more to offer. 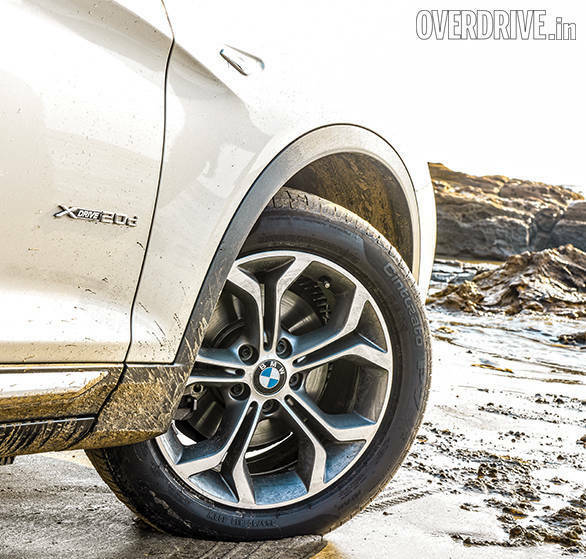 The X3 turned out to be the surprise package in this test because the suspension feels the softest. It's quite unlike most previous generation BMWs which felt more tactile. 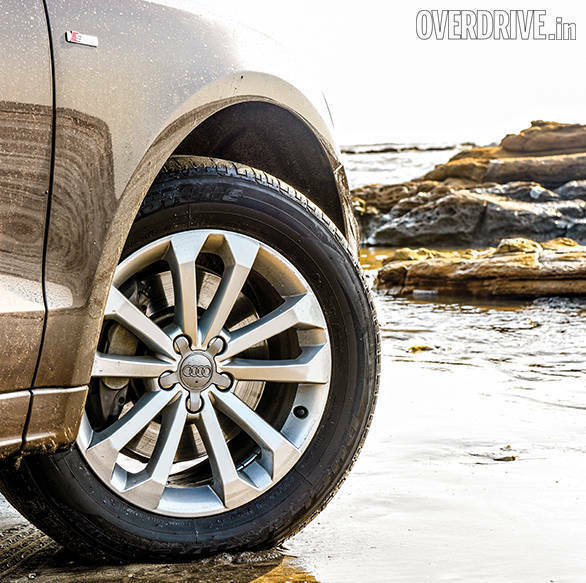 It still has a fair amount of firmness and the 17-inch run flat tyres feel hard but they do little to enhance the handling in this SUV. Compared to the others it feels the most loose with a fair amount of body roll though it is well controlled with a slightly understeery character. Of the three, the Q5 has the best ride quality, which I'd credit to the well balanced suspension. The suspension feels firm without being as harsh as the Evoque or the X3. 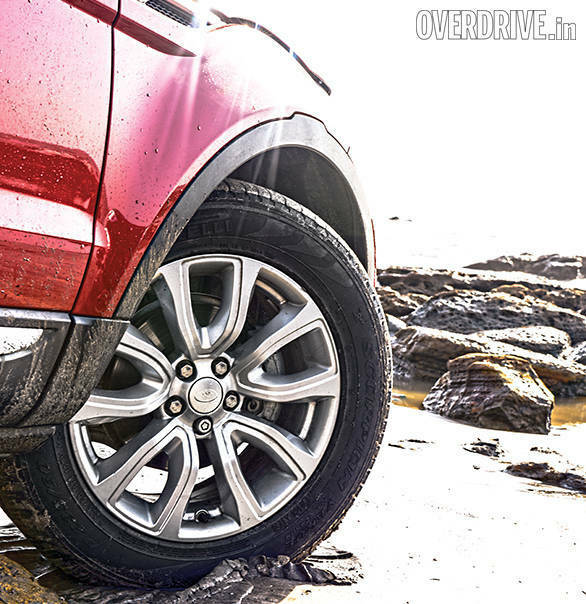 In fact both the Evoque and X3 feel uncomfortable especially when driven in a city like Mumbai, where concrete roads and expansion joints result in a lot of harshness. 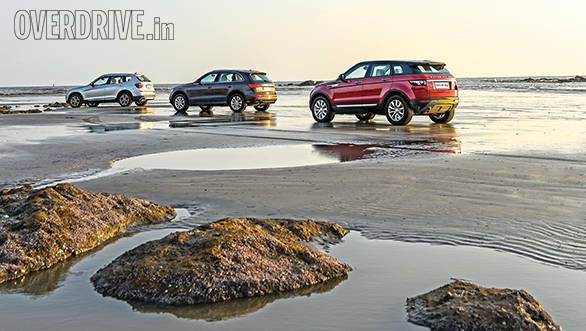 Each of these SUVs is closely matched in engine spec with all three offering a 2.0-litre four-cylinder turbocharged diesel power train. Of these, the Evoque at 420Nm offers the most torque with 180PS of max power. That torque makes it feel very punchy and it's got a superbly linear response to throttle inputs. Jab the pedal and you clearly feel the surge which makes it quite a pleasure to drive. The Q5 packs in a rather humble workhorse under the hood. The 30 TDI makes 177PS and 380Nm of torque which is the lowest figure here. That shows in the performance tests where the Q5 is a few tenths slower to 100kmph than the BMW and nearly a second down on the Evoque. The X3 is available in just one engine trim and that's good enough to provide a 190PS of max power with 400Nm of max torque. This is the most balanced engine in this comparison. It's responsive, linear and punchy. The twin scroll turbo that feeds the engine boost works extremely well in both low and high rpm situations. When you need it there is a grin-inducing amount of torque at your disposal. And the X3 is also the most fuel efficient of the three. 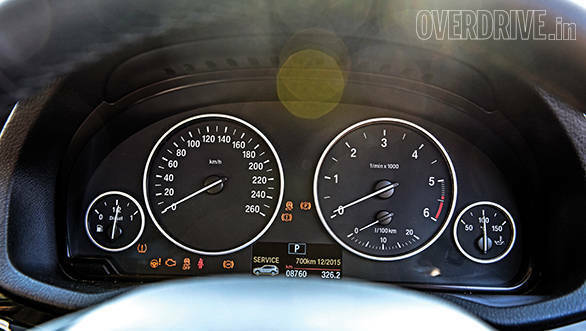 In our fuel cycles the X3 achieved a best in class fuel efficiency of 14.5kmpl. 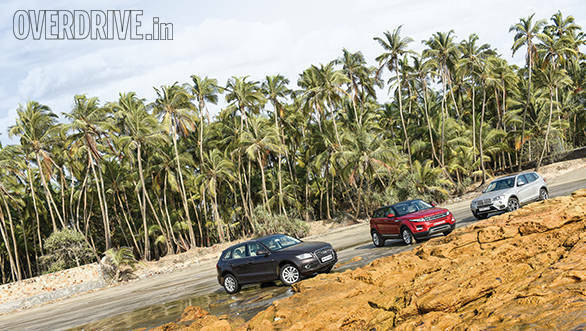 The Audi Q5 and Evoque were close behind with 13.9 and 13.8kmpl respectively. Each SUV in this comparison is the top of the line variant and they come equipped with a long list of features as standard. Each manufacturer also offers a comprehensive list of extras which you pay for additionally. The Q5 has the best layout and the easiest to use infotainment system with a large display unit. It however does not come with USB ports and you have to purchase a proprietary cable to connect your smart phone to the infotainment system, an unnecessary addition. The X3 is similar to the Q5 though you do get a USB point to hook up your phone. The Evoque too has a useful infotainment system but it's not as intuitive as the Q3 and this is a generation-old unit. Each of these SUVs have vents for rear seat passengers but none allow you to change the temperature or the blower speeds. 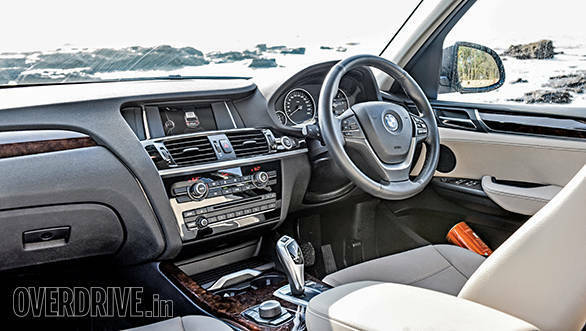 Of these the BMW X3 has the most effective cooling system while the Audi Q5 needs to work hard at keeping the cabin at a comfortable temperature because of its large glass areas. 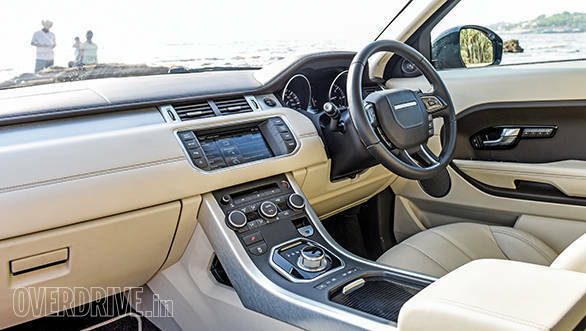 You'd also assume by that reasoning that the Evoque would be the quickest to reach a comfortable temperature because it has lesser glass areas but it does not. The Evoque also has the most fidgety steering wheel in the sense that too many controls exist all over it. There are buttons on the arms and even below to access the phone. The X3 is the most convenient while the Q5 falls in between. And finally both the Evoque and Q5 come with a space saver while the X3 has none since the company strongly endorses using run flat tyres. I drove the X3 from Delhi to Mumbai for this test and all along the thought that a puncture could prove to be highly inconvenient stayed at the top of my mind. 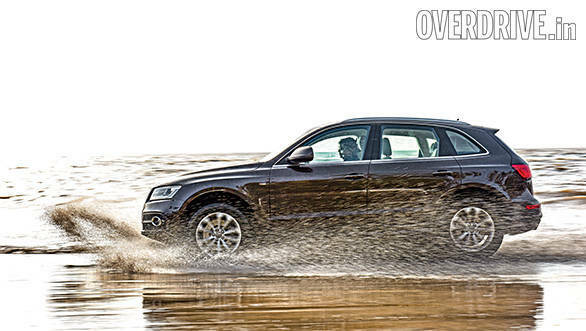 There isn't a clear winner in this test though the Audi Q5 comes across as the most well balanced SUV to own. 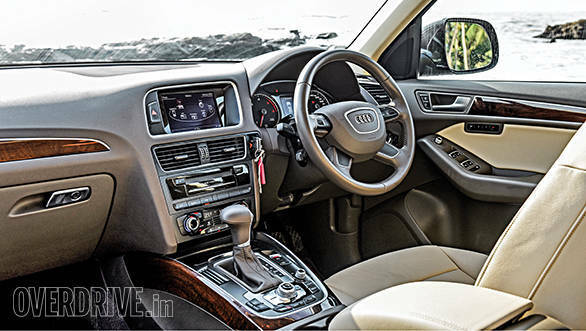 If you wanted good ride quality, decent performance, a spacious well built cabin and stable confident dynamics then the Q5 should be at the top of your shopping list. It is, however, more expensive than either the X3 or the Evoque and the only reason I'd pay that premium is because it's a well rounded package, slightly better off than the BMW or the Range Rover. 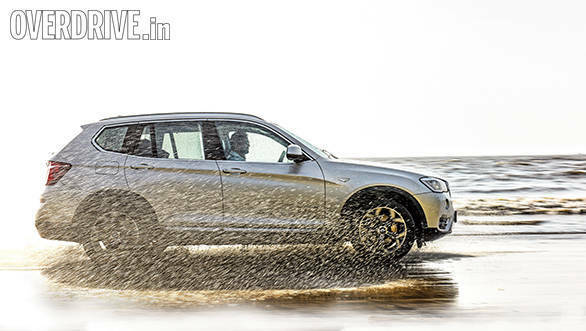 The BMW X3 - I'd simply wait for a new generation SUV to come along even though its biggest USP is its pricing. The X3 is the most affordable SUV in this comparison and that is definitely a strong game breaker. It's also got the class leading cabin space and the ride quality is much better than ever before with well controlled handling. It also adds a superbly efficient engine to the mix and that is a big clincher. However, I am simply bored of the insipid styling and the very middle-order performance. It's a BMW because of the badge at the front but there isn't much BMW in it - there is little joy in driving this SUV. The Evoque which once tugged at the purse strings now makes a far more compelling argument in its favour. Except for the lack of cabin space, there is very little now to discourage you from buying this SUV. It's finally the emotional purchase you always wanted to make without hurting your wallet. I'd ignore the cramped quarters and happily settle for the superb dynamics, the stunning design language and good overall performance. It's a fun package and one that you'd enjoy driving the most. The Evoque is also the most competent in this lot off-road and that is a big bonus whether you take it on an expedition or not. It's taken JLR a long time to bring about the price correction and while I do feel it may be too late I'd grab one soon as I could. It's a design icon of our times and with the more affordable sticker price, a bargain that's hard to resist!